We invite you on a journey through the exciting history of the Festspielhaus. In the past 100 years the Festspielhaus has experienced a lot. Discover with us the ideas people had in this place and what is happening here today. For children from 8 years, max. 25 participants* per guided tour (adults only accompanied by children). 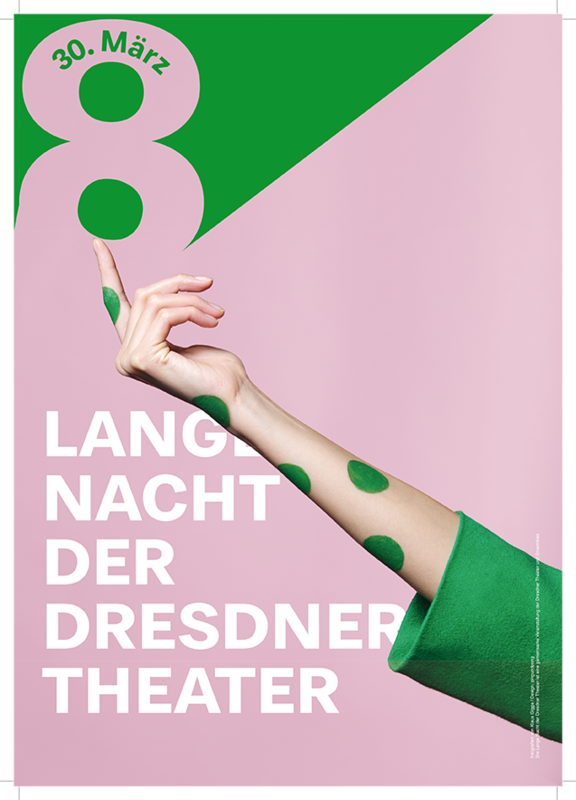 For the first time, the Dresden Frankfurt Dance Company is organizing the program of the Long Night of the Dresden Theater in HELLERAU. The dancers* of the company show their own short choreographies and performative situations in different rooms, which transform HELLERAU into a lively, constantly changing dance cosmos. The choreographies are shown every hour on the hour. In some rooms the space capacity is limited, admission is subject to availability. Wheelchair users* can reach the Festspielhaus via a concrete ramp on the left side entrance. The rooms on the ground floor (Great Hall, Dalcroze Hall, Nancy Spero Hall, Pasta Manufactory and box office) are barrier-free. Access to the rooms on the 1st floor is possible with a wheelchair caterpillar. Please contact our visitor service. You will find a disabled WC on the ground floor, Foyer West. Tickets for the next performance will be issued at the box office half an hour before the start of the event. The Dresden Frankfurt Dance Company is supported by the state capital Dresden and the Free State Saxony as well as the city Frankfurt am Main and the state Hessen. Company-in-Residence in HELLERAU – European Centre of the Arts Dresden and in the Bockenheimer Depot in Frankfurt am Main.